According to Messianic Jewish believers, a Messianic Jew is "a person who was born Jewish or converted to Judaism, who is a genuine believer in Yeshua [Jesus], and who continues to acknowledge his or her Jewishness." While most Jews and Christians would agree that the belief in Jesus as the Messiah constitutes the main distinguishing factor between Christianity and Judaism, Messianic Jews hold that the acceptance of Jesus does not render someone a convert to Christianity, to the contrary, they believe that only "after accepting Yeshua into their lives they become fulfilled Jews". While facing considerable opposition especially from other Jews, but also from Christians, Messianic Judaism is a fast growing movement. In only four years, from 2003 to 2007, the movement grew from 150 Messianic houses of worship in the United States to as many as 438, with over 100 in Israel and more worldwide. In 2008, the movement was reported to have between 6,000 and 15,000 members in Israel and 250,000 in the United States. 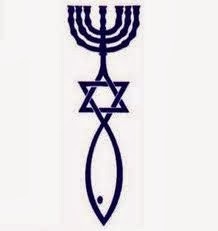 Messianic Judaism as a movement gradually grew out of congregations of Jewish converts to Christianity who wanted to retain and integrate some Jewish elements into the new belief. The origin of a semi-autonomous movement is often seen in the foundation of the Bene Abraham Association through Joseph Frey, a Christian missioner to Jews in Britain in the early nineteenth century. The association was the first one to allow Jews to affirm their Jewish identity while at the same time professing their belief in Jesus as the messiah. It was not until the 1960s that the movement started experiencing a considerable growth. 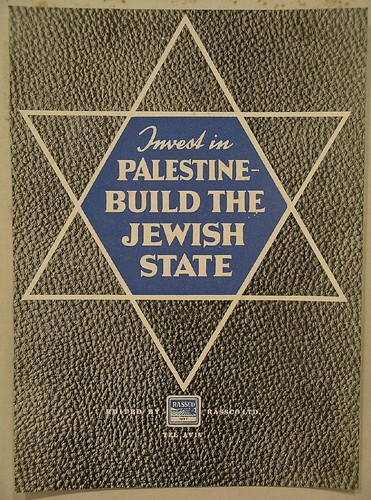 Most scholars agree that the rise in popularity of Messianic Judaism needs to seen in relation to a few factors: the foundation of the State of Israel in 1948, Israel's miraculous victory of the 1967 War which led to the beginning of a greater Jewish consciousness and to a general heightening of Messianic expectations, which in turn acted as a stimulus to explore Jewish identity, and finally "the growing openness and innovative spirit of evangelical and Charismatic Christianity from the 1970s to the 1990s" which specifically affected the growth of Messianic Judaism in the United States. Coinciding with a steady decline in mainstream Christianity and Judaism, scholars and theologians claim that the growing appeal of evangelical groups is connected to their strongly conservative doctrines which are associated with the promise of salvation and redemption, and which thus give rise to a clear identity in an increasingly fast shifting world. Personal accounts of Jews embracing Yeshua, commonly speak of a perceived emptiness in Judaism, as well as a distance to god, which sharply contrasts with the close intimate relationships they can build with Yeshua. First of all it is necessary to stress that Messianic Judaism does not constitute a unified or monolithic movement, and there is a remarkable variety of Messianic Jewish expressions. Most of the central Messianic Jewish beliefs are almost identical to Evangelical Christianity, and the New Testament is being embraced as the only divine revelation after the Torah . Messianic Jews see god as a trinity of the father, son and the holy spirit, and believe in the virgin birth, the resurrection, the ascension and the future second coming of Yeshua. Salvation is based wholly on the atonement given through the death of Jesus, not on Torah observances, which are more commonly seen as bringing sanctification. Individual Messianic Jews and congregations usually work out their own ways of relating to Torah rulings and teachings , and there is a whole spectrum from total observance to complete non-observance. 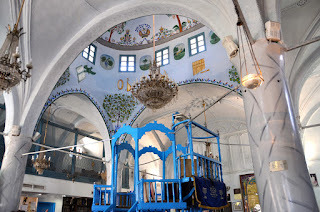 Messianic Jews generally celebrate the main Jewish holidays, such as Passover, Rosh Hashanah (New Year), Yom Kippur etc., services are held in special congregations by pastors or rabbis. Sermons commonly focus on bringing Yeshua's message to the Jews, stressing the New Testament as a Jewish text, and also frequently feature apocalyptic themes, especially the imminent second coming of Yeshua and Israel's central role in this process. Messianic Jews do not support the so called "replacement theology" which posits that god has abrogated his covenant with the Jews and has made a new covenant with the Christians. To most Jews Messianic Judaism does not constitute a form of Judaism. Some claim the terminology itself was misleading, and was simply an attempt to represent converted Jews as still Jewish. Active opposition to the movement comes from all major Jewish denominations, as well as by the State of Israel, whose Supreme Court ruled that Messianic Jews are not eligible to immigrate to Israel under the law of return, unless they can trace back their Jewishness ethnically through their family. Hostility also comes from the Christian side, though probably less vehemently, with some evangelical Christians holding Messianic Jews to be “too Jewish”. Many orthodox Jews view members of the movement as traitors for having joined the Christian faith, which persecuted Jews for centuries. They also fear and warn of the proselytising efforts of members of the movement, one of the central aims of Messianic Judaism. Members try and spread the gospel to fellow Jews, by distributing literature and by witnessing to passers-by. Such attempts undoubtedly add to the opposition to the movement and contributed to it spilling into violence several times. Probably the most extreme case to date happened in the West Bank settlement Ariel in 2008. A bomb disguised as a Purim gift was sent to the family home of a Messianic Jewish pastor and critically wounded his 15 year old son. The pastor who was ministering to Palestinians and Jews had already received threats before the bomb attack. "There is a campaign of harassment against the Messianic Jewish community by radical religious organizations that are trying to create dehumanization", the representative of the Messianic Jewish community in Israel stated to Ynet. Flyers are commonly spread warning of the perceived threat of the members of the "Jewish Missionary Cult", who are "baptizing Jews into Christianity", including photos and addresses of individual Messianic Jews. In 2013, Jewish extremist Jack Teitel was found guilty of two counts of murder, two attempted murders, including the one in Ariel, as well as a string of other violent crimes. Obviously, Jewish scholars with pluralist perspectives on Judaism, see Messianic Judaism simply as part of multi-dimensional modern Jewish life, and therefore as a legitimate form of Judaism.